A special Valentines Day Cocktail from Finch & Fork, courtesy photo. Love is in the air this month, with Valentine’s Day cocktail specials from some of our favorite mixologists. Want to get in the mood for Valentine’s Day? Try Inconceivable! from Joe Dohany of Finch & Fork (31 W. Carrillo St. in the Canary Hotel). Kiss Me Stupid Champagne Cocktail courtesy S.Y. Kitchen. For bubble enthusiasts, Fess Parker’s ‘Fesstivity’ Sparkling Wine Flight features a Blanc de Blancs, a Brut Cuvee and a Blanc de Noirs. For those that love Pinot Noir, a Pinot Noir Flight includes Ca’ Del Grevino Estate Pinot Noir, Fess Parker ‘Pommard’ Pinot Noir, Babcock ‘Slice of Heaven’ Pinot Noir and The Hilt ‘Vanguard’ Pinot Noir. The ‘Red is for love’ Flight is perfect for red wine fans, with Fess Parker ‘Rodney’s’ Syrah, Babcock Pinot Noir, Sta. Rita Hills, Ca’ Del Grevino Dolcetto, Notary Public Cabernet Sauvignon and The Paring ‘Red” Bordeaux Blend. Raspberry Beret, courtesy Les Marchands. Noir, Grenache, Dolcetto & Syrah) is paired with chocolates from Heart & Sugar Confections. The sommelier team at Les Marchands (131 Anacapa St.) is also in the mood for St. Valentine to strike, with an original cocktail known for its aphrodisiac-like qualities—The Raspberry Beret—with Plymouth Gin, Crème De Framboise, Lemon Juice & Rose Water. Sounds good to me. Cheers! Originally published in Santa Barbara Seasons on February 3, 2017. Paella from Loquita, photo by Laura Ray. Executive Chef Peter Lee of LOQUITA and POQUITA—the new hot spots Santa Barbara’s Funk Zone—has special celebratory menus for Christmas Eve, New Year’s Eve and New Year’s Day. If you haven’t had the pleasure of checking these restaurants out yet, the holidays are a perfect time to do so. In addition to the complete menu that Loquita has made popular with bold flavored Mediterranean dishes of olives, lemons, tomatoes, peppers, vinegars, Jamon and Sherries, simply executed and beautifully plated, on Christmas Eve, Chef Lee’s specials feature Bunuelo de Bacalao—Salt Cod, Potato, Lemon & Nora Chili Aïoli; and Cannelloni with Mushroom, Foie Gras; Bechamel & Manchego. Reservations are recommended and are available from 5–8:30 p.m.
Loquita, photo by Rob Stark. Then, on New Year’s Eve, Loquita presents elegant New Year’s Eve specials, in addition to their acclaimed menu, perfect for an end of year celebration. Selections include Foie Gras with Figs, Dandelion Greens & Celery Root; Paella con Costilla – Iberico Pork Ribs with Artichokes, Mushrooms, Iberico Soffrito, Grilled Lemon & Herb Aïoli; and Cochinillo Asado – Suckling Pig with Asparagus, Mushrooms & Mojo Verde. Loquita’s chefs will display a live “performance art,” preparing the Paella con Costilla outdoors on the patio in a huge paella pan for all guests to experience. Reservations are recommended and are available from 5–10:45 p.m.
Also now open is Poquita, the little sister of Loquita, a perfect choice for both Christmas Eve and New Year’s Eve for those seeking a spontaneous evening. Drop in while exploring the Urban Wine Trail, drinking in the colorful ambiance of the Funk Zone. Poquita serves many of the same delicious pintxos, tapas, cheeses and charcuterie as Loquita at their artful, standing-room-only pintxos bar, ideal for casual small bites without the structure of a reservation. Hours are 5 p.m. – midnight. Also starting on New Year’s Day, Loquita begins serving Sunday Brunch. Chef Lee introduces his inspired daytime menu of exquisite Spanish specialties created with a Santa Barbara sensibility—a Paella Pan Skillet with either Mushroom, Tomato, Spinach, Potato, Eggplant, Chermoula & Eggs; or Chorizo with Bell Pepper, Tomato, Potato, Broccolini, Parsley & Eggs; Benedicts on Pan De Cristal in two versions – Jamon Serrano, Spinach, Eggs & Chorizo Hollandaise; or Cured Salmon, Pickled Red Onion, Eggs & Lemon Hollandaise. Try Lee’s two spins on the Tortilla Espanola – Traditional with Potato, Onion, Frisee & Herb Aïoli; or Especial with Avocado, Piquillo, Potato, Onion, Mushroom & Chorizo. Loquita brunch hours are 10 a.m.–2 p.m. and will continue every Sunday after the new year. To view all holiday menus visit Holiday Menus or www.loquitasb.com/nye. Loquita, “an endearing Spanish colloquial term for a wild, fun loving young girl, is a playful love letter to the Spanish origins and history of Santa Barbara.” The space is designed by San Francisco restaurateur and designer Doug Washington, who created the distinctive styling at The Lark, Lucky Penny, Les Marchands, Santa Barbara Wine Collective and Helena Avenue Bakery. Architect Joe Andrulaitis and the Young Construction team led by Rick Musmecci completely restored the historic building that has served as numerous restaurants and the Santa Barbara Rescue Mission over the past century. Interior finishing touches by Stephanie Greene Fuller incorporated handsome furnishings fabricated by Brothers of Industry of Carpinteria. “I was inspired by a quote I read in a recent issue of Food & Wine magazine that said ‘Spain is a country with a big heart, a big thirst for wine, a big appetite for great food and a big affinity for art, music and sports.’ Those who live, work and play in Santa Barbara share these values,” says Sherry Villanueva, Managing Partner for Acme Hospitality, the group behind the restaurant. Bringing a Spanish restaurant to the Funk Zone has been something she has envisioned since the space first became available more than two years ago. 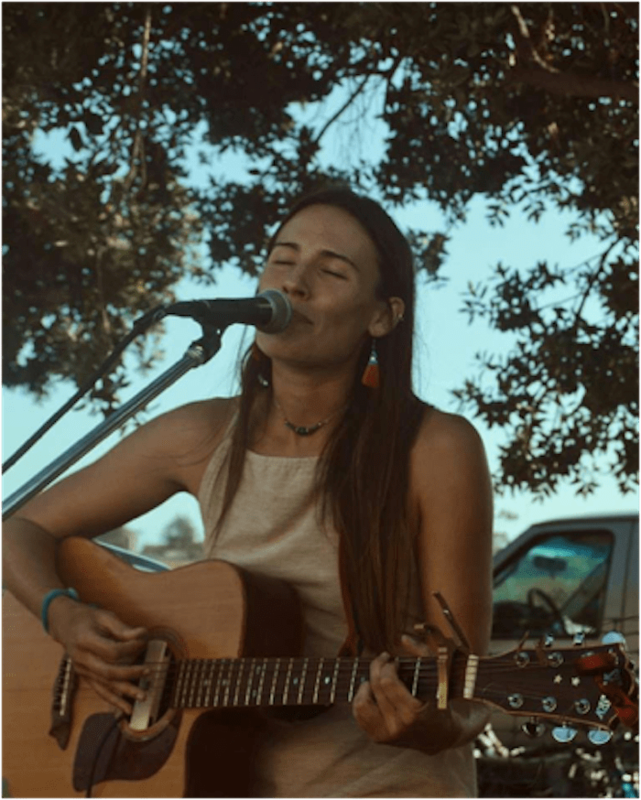 “Santa Barbara’s rich Spanish colonial history has defined our city in ways that span architecture, food, wine and even informs our community celebrations. It’s the right time to dedicate our next restaurant to the incredible culture and food that Spain is known for, but interpreted by a contemporary California sensibility that is our company’s signature,” says Villanueva. “It’s no wonder that Spain is recognized as one of the greatest countries for food and dining today. The restaurant is located at 202 State St., 805/880-3380. Originally published in Santa Barbara Seasons on December 19, 2016. Finch & Fork, courtesy photo. Finch & Fork (31 West Carrillo St.) is honoring the classics this Valentine’s Day. On both Feb. 13 and Feb. 14, order from their regular dinner menu, or from a variety of specials. Try the Lobster Bisque, served tableside and sure to impress. Next, order Chef James Siao’s Beef Wellington served with wild mushroom puree, speck, brioche, grilled asparagus salad and roasted garlic peppercorn sauce. For the ultimate finale, indulge in their tableside Hot Fudge Sundae, prepared with all the toppings. Gems from the sea set the scene for romance in Chef/Owner David Lentz’s Hungry Cat (1134 Chapala St.). For Valentine’s Day, guests may select from a prix fixe menu that includes Peruvian Scallops with fennel, sambal and granny smith apple; Prawns with chili, lime, shrimp chip and egg custard; Smoked Salmon with crème fraiche, caper berry, heirloom beet and cauliflower; Lobster Raviolo with black garlic, king trumpet and spinach; and Grilled Branzino for two with chickpea, green romesco, cucumber and mint. Meat lovers will savor a rich and tender Stout- Braised Lamb Shoulder. In addition, the restaurant’s signature Ocean-Fresh Raw Bar is available à la carte along with two specially created Valentine’s Day craft cocktails —the Laws of Attraction (made with Ford’s Gin, Pamplemousse Rose, lemon and chocolate bitters) and Love Me Forever (made with rose petal infused vodka, ginger, blood orange juice and gran classico). Love Me Forever, Hungry Cat, photo by Dona Bridges. Set the table for romance at The Lark (131 Anacapa St.), where Executive Chef Jason Paluska and Executive Pastry Chef Jeff Haines present a weekend of Valentine’s Day dining with enticing specials designed to be shared by two for the ultimate romantic dining experience. Chef Paluska’s creations include Santa Barbara Sea Urchin Toast with Perigord Black Truffle Butter, Grilled Sourdough Levain, Breakfast Radish & Chervil; and Seared Hudson Valley Foie Gras with Pink Peppercorn-Buttermilk Biscuits with Roasted Strawberry Duck Jus, Pickled Fennel & Tarragon. Couples may also share the luscious Dungeness Crab & House-made Gnocchi with Spanish Chorizo, Navel Orange, Castelvetrano Olives & Lobster Roe. For dessert, Chef Haines prepares a Classic Chocolate Cake with Hibiscus, Olive Oil, Raspberry Meringue and Passion Fruit Ice Cream. Served with the dessert is a toast for two of Sparkling Gamay from Patrick Bottex, La Cueille, Savoie, France. The Lark also offers the complete market-driven menu that has made the restaurant so popular. Les Marchands (131 Anacapa St.) and Chef Weston Richards have a romantic weekend planned with three seductive dishes that are passionately playful for couples seeking a relaxed and casual evening of courtship. Begin with Les Marchands Valentine’s Day aphrodisiac of Crispy Fried Oysters with Lemon-Caper Remoulade and House-Made Hot Sauce. Then savor Chef Weston’s definitive burger—“Royale with Cheese,” two 1/4-pound beef patties with caramelized onions, Taleggio cheese and housemade thousand island served with a side of garlic-herb pommes frites. For the ultimate in decadent desserts, try a rich Dark Chocolate Mousse with Chocolate-Pistachio Crisp, Marshmallow, Ancho Chile Powder & Olive. The sommelier team at Les Marchands has selected three preferred picks to be paired and discovered with each of the Valentine’s Day specials: Gaston Chiquet Grand Cru Blanc de Blanc to enjoy with oysters; Weihenstephaner Hefe Weiss as a match for the “Royale with Cheese” burger; and Domaine La Tour Vielle “Rimage” Banyuls to accompany the richness of Chef Weston’s dark chocolate mousse. Pricing is à la carte. Celebrate a very special vintage Valentine’s Day at Outpost at the Goodland Hotel (5650 Calle Real, Goleta), where Executive Chef Derek Simcik has created the Vintage Love menu. It includes classic French dishes like Foie Tourchon with Sauternes, Beef Royale and Bouillabaisse. Pair your meal with the perfect cocktail, like the Novel Vintage with Woodford Rye, Maison Rouge VSOP, Earl Grey-Honey Syrup, Luxardo Maraschino, Orange Curacao and Lemon. After dinner, stop by Goodbar and have lead bartender Chris Burmeister make one his newest creations. Try the Vendetta with Gran Lusso Vermouth, Lustau Palo Cortado Sherry, Amere Nouvelle, bitters and strawberry preserves, or the Handsome Haymaker with H by Hine Cognac, Avua Amburana, Masala Chai Syrup, milk and cream. S.Y. Kitchen‘s San Valentino Dinner features alluring holiday specials, a Valentine’s Day cocktail and stellar wine recommendations (1110 Faraday St., Santa Ynez). Starters include Black Truffle Ravioli with Burrata and Shaved Black Truffles; followed by main course selections of Filet Mignon with Mushrooms and Polenta and Grilled Giant Atlantic Prawns with Avocado Mousse, Local Tomatoes and Arugula. For dessert, there is a special additional dessert prepared by Chef Francesco—a rich Chocolate Terrine with Raspberry Sauce and Fresh Berries. Pricing is à la carte and reservations are recommended for one of the most popular dining nights of the year. In addition, Mixologist Alberto Battaglini will make his special Rose & Hibiscus Martini: a stunning presentation of Rose-Infused Hendrix Gin with Fresh Rose Petals, Raspberry, Hibiscus-Blackberry Bitter, Lemon and Lime. Wine lovers will enjoy Sommelier Emily Johnston’s suggested bottle of Alma Rosa Brut Rosé ‘El Jabali’ 2013 among other recommendations to accompany dinner. Cuddle together in the courtyard at night or by the outdoor fire pit before or after dinner with an Aperitivo or Digestivo for a little extra flirting. In addition to the Valentine’s Day Specials, S.Y. Kitchen will offer their complete à la carte menu on Valentine’s Day for those that prefer the restaurant’s signature dishes. S.Y. Kitchen will also be serving their “Italian Breakfast” on Feb. 14 from 10 a.m. -2 p.m. for couples that want to get an early start on Valentine’s Day. 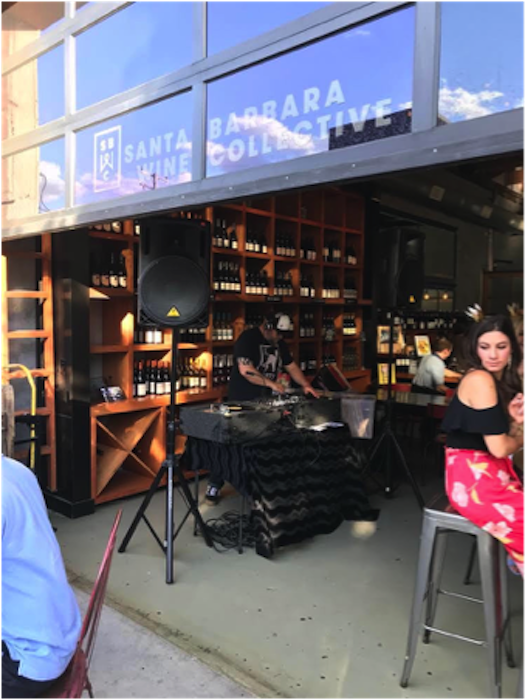 Santa Barbara Wine Collective (131 Anacapa St.), offers a special all- weekend Valentine’s Day tasting featuring two flights to sample from the Collective’s five talented Santa Barbara County members. Choose a flight of two exceptional Rosé selections from The Paring and Fess Parker or a flight of five reds from Babcock, Fess Parker, The Paring, Notary Public and Ca’ Del Grevino. Both flights include pairings of artisan chocolate truffles created by Santa Barbara confectioner Jessica Foster, and are available all day Fri. Feb. 12-Sun. Feb. 14. To purchase advance tickets, visit NightOut.com: sbwcvdayflight.nightout.com. Tickets are also available in person. Santa Barbara Wine Collective, photo by Erin Feinblatt. Originally published in Santa Barbara Seasons Magazine on February 5, 2016. Fall Jams at The Lark, sourced from Chapala Farms, include, L-R, Star Ghost Chili Vodka, Cutler Stagecoach Whiskey and Wilder Gin. Photo by Leslie Dinaberg. It takes an awfully inventive mind to look at a jar of jam or marmalade and envision a cocktail, but that’s exactly what those clever folks at The Lark have done, in partnership with Chapala Farms, and the results are quite unique—and delicious! I tried my first “Jam” over the summer, a delightful concoction of Star Ghost Chili Vodka (made locally by Ascendant Spirits in Buellton) and Chapala Farms Plum Jam. Not only was it yummy, with a nice kick of sweet and spice, I also loved the fact that Chapala Farms is an urban backyard farm venture from locals Jason Banks and Michelle Decaris, located right down the road on Chapala Street. The Lark’s “Fall Jams” have kicked up the fun even further. Local “Jam Cocktail” ingredients at The Lark, photo by Macy Kremzar. You really have to try these cocktails to fully appreciate the unique flavors and textures. For fall, Star Ghost Chili Vodka is now combined with Chapala Farms Strawberry Passion Fruit Jam for a spicy glass of sweet deliciousness that’s unlike anything I’ve ever tasted. We also liked the Cutler Stagecoach Whiskey (from Funk Zone local Ian Cutler‘s Cutler’s Artisan Spirits) with Chapala Farms Cinnamon, Mint, Fig Jam, a perfect holiday libation, as well as the Wilder Gin (from Ventura Spirits Company) and Chapala Farms Tangelo Jam combo. inspired to bring the concept to The Lark’s beverage program and teamed with Decaris and Banks of Chapala Farms to design distinctive summer cocktails made exclusively with local spirits— Cutler’s Artisan Spirits, Ventura Spirits and Ascendant Spirits—and a rotating menu of Chapala Farm’s premier jams and marmalades. That tradition has now continued into the fall. “The flavors from the jams produce a subtle sweetness and tartness that is different from muddling fruits and other methods. And when combined with our Central Coast spirits they make a great … cocktail,” says Russo. All Fall Jam cocktails are priced at $11 are subject to change with seasonal harvests. The Lark is located at 131 Anacapa St., 805/284-0370. Originally published in Santa Barbara Seasons Magazine on November 20, 2015. Cocktail Corner: SB Passport … to Libations! 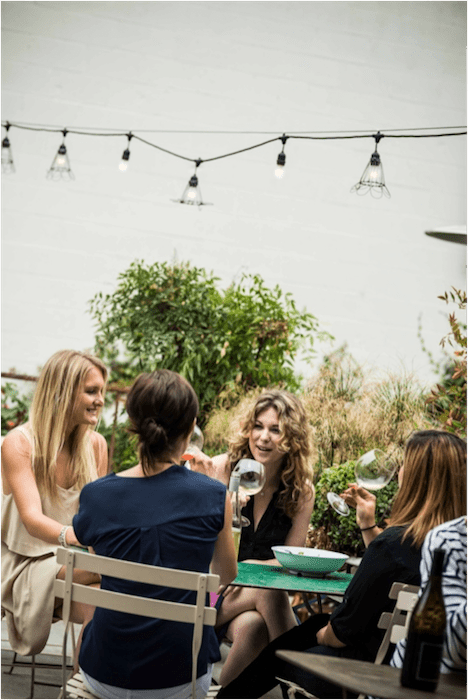 As far as I’m concerned, there’s almost nothing better than the buzzy fun of enjoying summertime cocktails with friends—but one thing that does beat that is getting a great DEAL on summertime cocktails with friends. There’s a new player in town—The Santa Barbara Passport—that offers great deals on drinks this summer at 28 establishments for just 20 bucks. This cleverly illustrated, pocket-sized booklet offers loads of drink deals—you receive a stamp in your booklet upon redemption—and the specials will run all summer through Labor Day (September 7), providing ample time to collect stamps and explore. It even includes a section on Beer 101 and Wine Labels for Dummies, as well as cocktail fundamentals for making—and ordering—classic libations like Negronis, Manhattans and Old Fashioneds. Can’t argue with that logic. For more information or to purchase a passport, go here. Originally published in Santa Barbara SEASONS Magazine on June 5, 2015.